The National Weather Service has issued a Flood Watch for the Skokomish River. The Flood Watch is effective from Friday afternoon through late Saturday night. Forecasters says periods of rain will get heavier in the Olympics Friday afternoon and night. 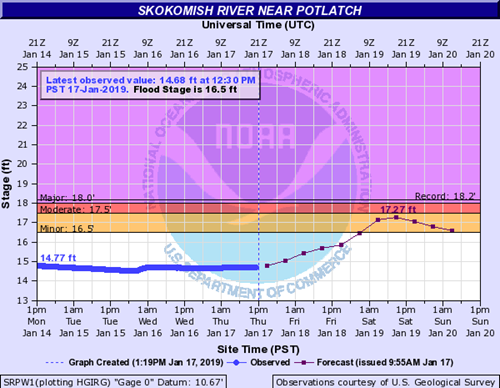 The Skokomish could rise above the 16.5-foot flood stage Friday night or Saturday morning.